You're going to need basic sausage supplies now that you have your equipment gathered. ...They will all fit into definite categories. You can make sausage out of practically anything you want, but certain recipes traditionally call for a specific a kind of meat. Breakfast type sausage and chorizo sausage are usually made of pork. Some recipes specify beef (English bangers) or a mixture of beef and pork (some kielbasa recipes). Many middle-eastern sausage recipes use lamb, and lots of today's "health conscious" recipes call for chicken or turkey (to help reduce fat). ...the quality of your product will depend largely on the quality of the meat you use to make it. A rule that I always follow is...If I wouldn't normally eat it, I don't grind it into sausage. Make only the best meat you can get part of your sausage supplies. Most sausage recipes call for ground and seasoned meat to be stuffed into a casing. Casings have traditionally been made of animal intestine, and that is still a very good choice. 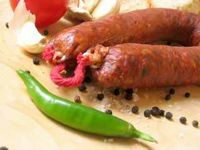 Today though, many sausage makers use edible casings manufactured from beef collagen and...some varieties of sausage can be stuffed into non-edible synthetic casings. 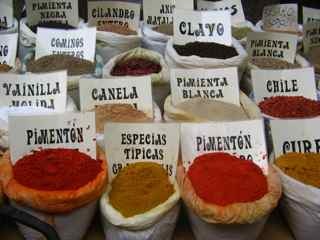 Spices and seasonings are a big part of what makes a sausage recipe unique. Sausage makers historically used the seasonings associated with their region. That's why Italian sausage tastes different from Cajun andouille. ...good quality sausage calls for good quality ingredients. Use only the best you can get. If you make any sausage other than "fresh sausage" you will need to use a meat cure of some kind. There's too big a risk of bacterial spoilage if you don't. ...Don't take a chance and try to eliminate them. My advice is...If you don't want to use a cure, only make fresh sausage. Some traditional sausage makers might cringe when I say this but...in certain cases...liquid smoke makes a lot of sense to me. liquid smoke is made by burning wood and extracting the flavor from the smoke. It's not some weird chemical concoction from a test tube...you could even make your own. Many kinds of sausages don't need to be smoked, but do taste better with a smoky flavor. If you didn't have a smoker or didn't want to go through the extra hassle of smoking, you used to be out of luck. Now, liquid smoke is a good solution. The sausage supplies I have outlined here will be all you need in almost all cases. Be sure to check out each separate category for more detailed information.